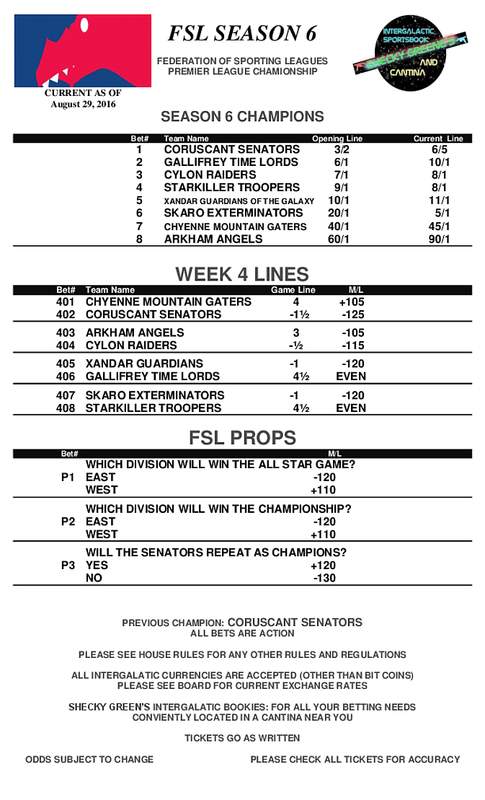 Hot off the presses it’s the FSL Week 4 Lines. As always…Bet Early and Bet Often! This entry was posted in Uncategorized by mitzula. Bookmark the permalink.